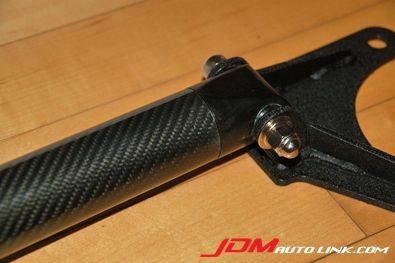 We have a rare brand new JIC carbon fibre strut tower brace (front) for the Mitsubishi Evolution I, II and III. As the Proton Wira, Putra, and Satria shares the same chassis, this will fit those cars as well. Now's your chance to add some real carbon fibre goodness to your ride. 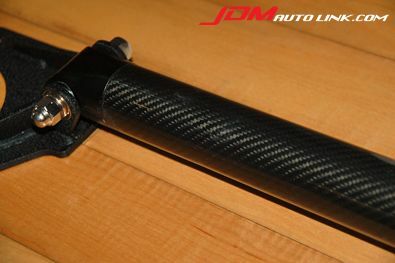 JIC strut tower brace bar reduces the amount of flex in the car's chassis by tying the shock towers together enhancing rigidity and strength. Each carbon strut tower bar features real carbon fiber weave and clear coated for a show-quality look and with ridgid steel brackets coated with "orange peel" paint.